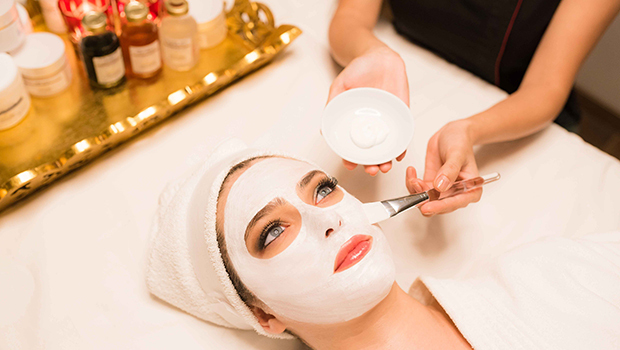 This facial begins with a preparatory phase: cleansing of the face and neck with the oxygenating milk and exfoliation/moisturization by the application of Lotion P50 with gentle pressure. The rebalanced skin is then ready for the application of the Complexe Restructurant et Lissant, which is completed by a modulating massage. Your skin is refreshed, smoothed and toned.Providing instant radiance and long-lasting moisturization. This is an anti-stress, anti-aging treatment with an instantly visible lifting effect. This is a reconditioning treatment done after medical treatment like microdermabrasion, laser & peels. This treatment can be adapted to the clients skin structure and adjusted to needs of different facial areas. Recommended for dehydrated skin, mature skin with fine lines and wrinkles.